President Donald Trump has announced his meeting with North Korean leader Kim Jong-un in Singapore on June 12 is back on, a week after it was scrapped. The president made the announcement after talks with senior North Korean envoy Kim Yong-chol at the White House. General Kim Yong-chol hand-delivered a letter from Kim Jong-un to President Trump. President Trump at first said the letter was “very interesting” but later said he had not yet opened it. He also said the issue of formally ending the Korean War would be on the table in Singapore. The 1950-1953 war only ended with a truce, not a final peace treaty. “We’ve got to know their people very well,” he added. President Trump cautioned that the summit might not achieve a final deal on North Korea’s controversial nuclear program. “I never said it goes in one meeting. I think it’s going to be a process, but the relationships are building and that’s very positive,” President Trump said. 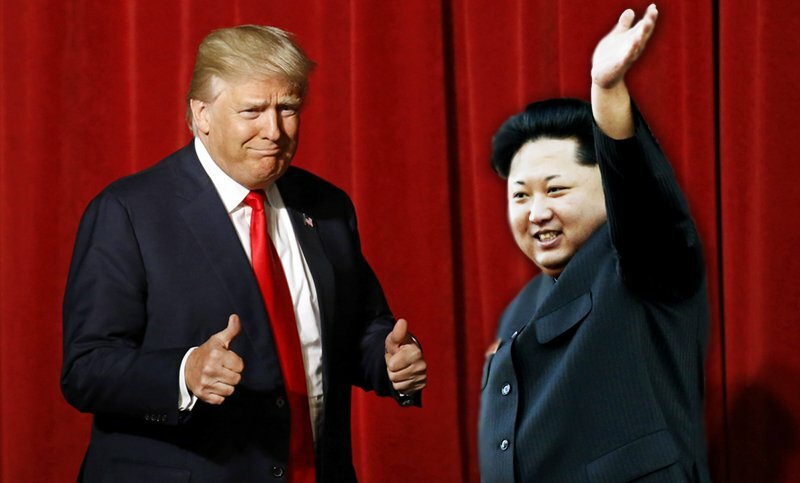 The historic meeting between Donald Trump and Kim Jong-un would be the first between sitting US and North Korean leaders. President Trump has offered to help rebuild North Korea’s economy if it scraps its nuclear weapons. Kim Jong-un says he is committed to “denuclearization” in some form but his precise demands are unclear.